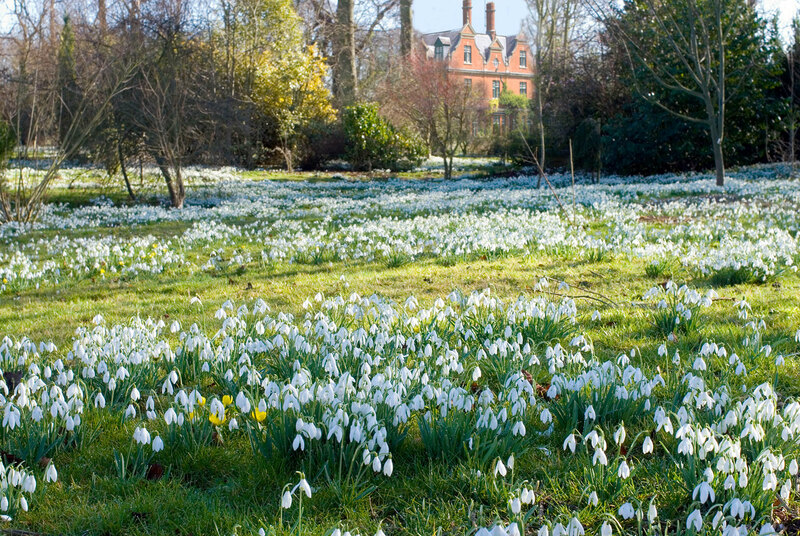 The gardens have been awarded the highest two-star rating by the Good Gardens Guide and are notable for their vast swathes of snowdrops and aconites in late winter followed by a superb spring show of daffodils, hellebores, spring bulbs and blossoms. We are open several times throughout the seasons from the first snowdrops to the last late-autumn colour and for extended periods from Feb–April including a wonderful Easter Egg Hunt for children every year. Our Potting Shed Tearooms, fully licensed and serving delicious home-made hot food, teas, coffee and cakes. 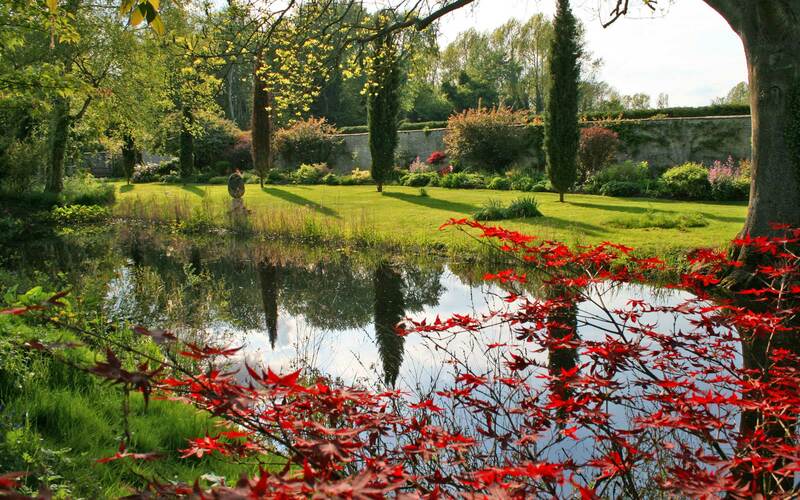 We are listed on Great British Gardens. 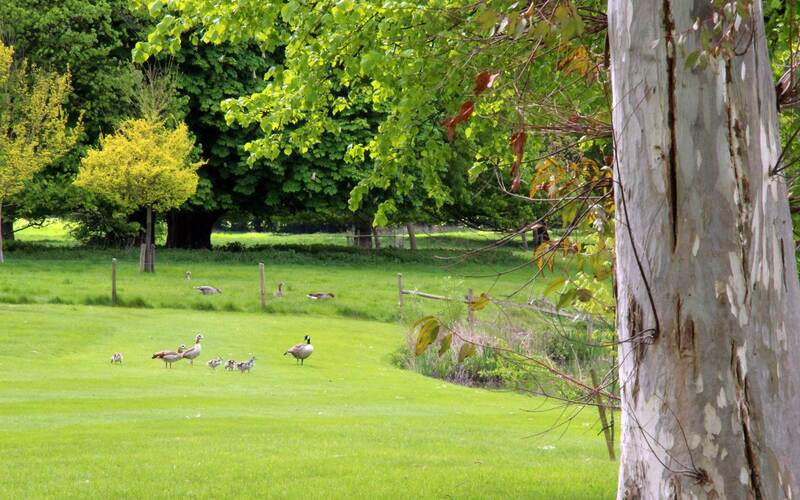 The gardens were designed as an ‘Anglo Dutch’ landscape comprising canals, park, woodland and formal gardens. They were subsequently informalised by 18th and 19th century designers including William Earnes and Samuel Lappidge. 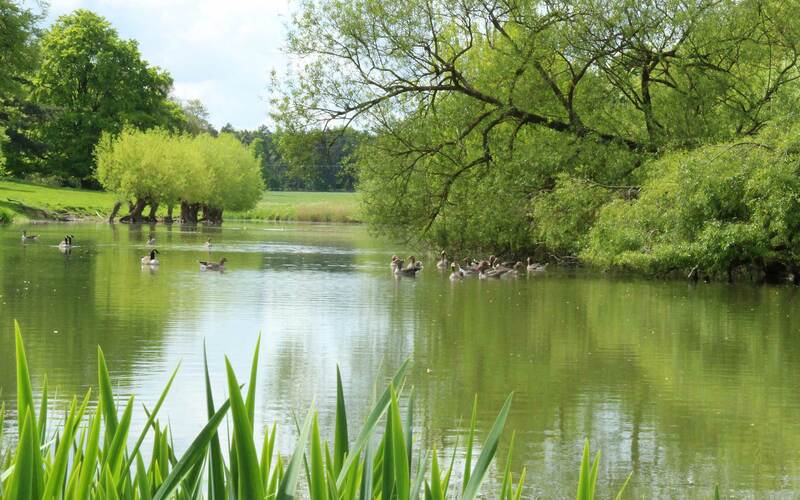 More recently the gardens were extended and stretch to over 40 acres of formal and informal areas, borders, lakes and woodland walks. "What an unbelievable estate…Every turn was a wonderful surprise…I just loved every aspect - the sculptures in the woods and your delicious lunch…It means a return trip"
"What a wonderful time we had with you last Saturday. The garden was looking quite spectacular and the society really enjoyed their visit tremendously. As for lunch it was simply the best. You were so generous and I think a lot of the Americans just wanted to move in with you!" "Very many thanks for arranging such a splendid day. The food was delicious and the snowdrops superb - they are the best drifts of snowdrops that I have ever seen." "Thanks for a super visit - everyone had a whale of a time. Thanks too for the delicious eats and for an unforgettable guided tour. Just to confirm that I would like to bring a coach party of RSPB members for a similar day next year." "I can't tell you how many cards and phone calls I have had from our members telling me how much they enjoyed our day at Chippenham Park.It has gone to NO.1 on our list of 29 houses. The food was amazing and you could not have been more welcoming."